Google Voice Search has gotten a lot better recently, especially for us Pakistanis with the inclusion of Urdu as one of the languages that is now recognized by Google. Getting things done by speaking to the phone is now much easier than typing everything out. Having Google recognize Urdu means that you can now make phone calls, pull up search results and much more just by uttering a simple command. The voice typing feature is available for use via Gboard and if you haven’t gotten around to using it, here’s how to do so. 1) Make sure that you have the latest version of GBoard installed. 3) Select Languages & Input and then Languages. 4) Tap on “Add a Language” and select (اردو (پاکستان from the list. 5) You can either choose the language to be the primary one or just leave it as it is and change it from the keyboard, later on. 6) Next, open up any messaging app you want and bring up the keyboard. 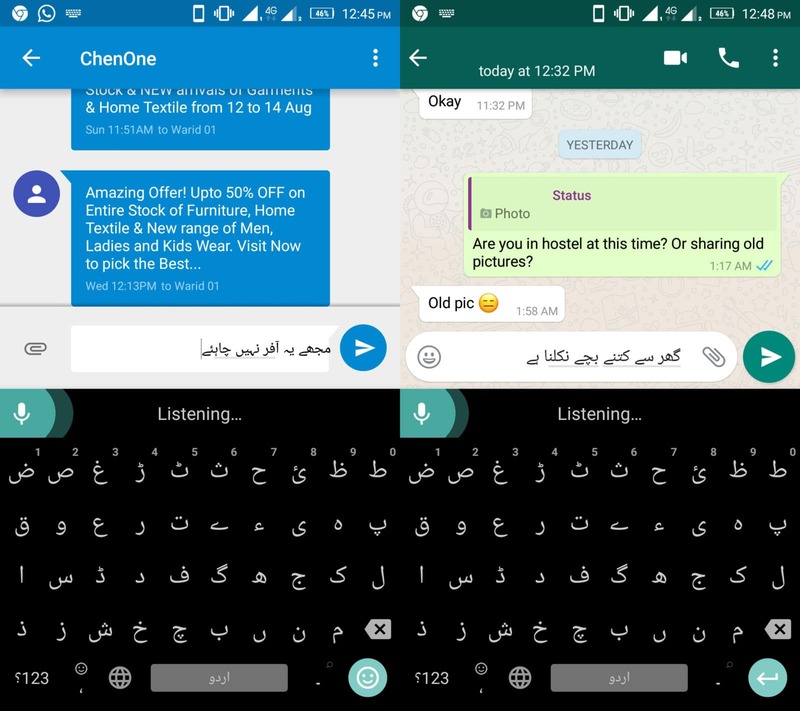 7) Long press the spacebar and select Urdu(Pakistan) from the list. 8) Press the little microphone button on top of the keyboard and start speaking! The audio will be recognized, and if done correctly, you will see a preview of your text in Urdu on the screen. Since this is new and it will take some time for the algorithm to learn and improve itself. So, even some basic words at times might not get recognized or will be written incorrectly. 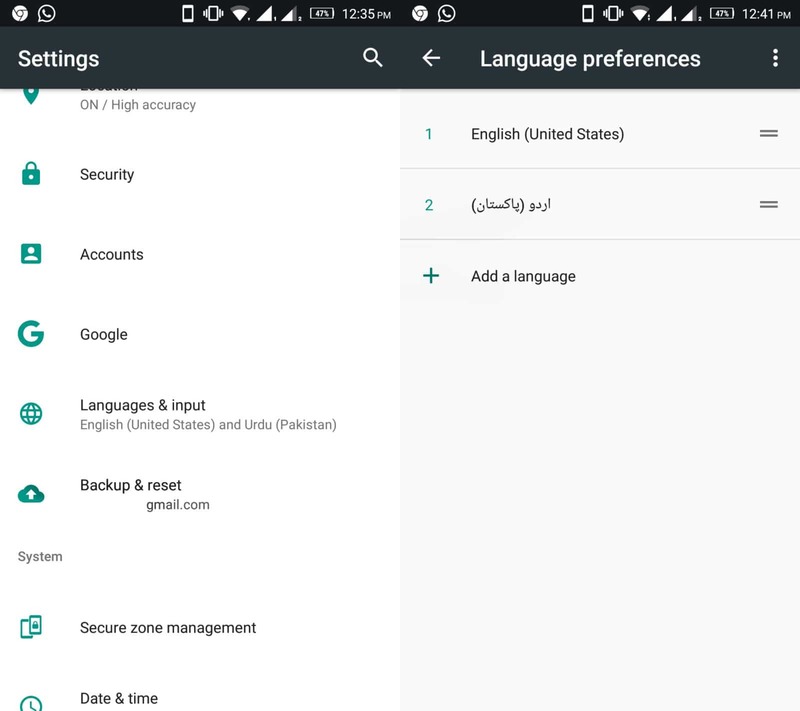 You can also use Urdu speech dictation to search the web via Google Now but for that you will have to change the primary language to Urdu (step 5 above). However, your search won’t return you any results and it will only search for the exact phrase on the web. For example, I tried asking for the weather and it just ended up searching for the phrase on Google instead of actually showing me the result. As mentioned before, Urdu was incorporated using machine learning after feeding them the samples from local and native speakers. So, naturally it will only take time for it to improve and include more features. Feature available to iOS as well? Is bhai log boli decodable for a machine? ap 2G use krte hen? No! All I Was Searching For That GOOGLE Doesn’t Come With Its Official “URDU” Voice! Not Voice Search! Of course, It Does Its Functions Very Well If You Select “HINDI” While Using Assistant! But, You Know, All Those Complicated HINDI Words, I Just Don’t Get Them!! !